While most situations in our gaming lives fixate around the flat-screen TV, computer monitor, and mobile device of choice, sometimes you want to get mobile with your viewing without resorting to the small screen. That’s where portable projectors can really save the day, but the options have mostly been cheap and shoddy, or good and expensive. Lately, however, we’ve seen a few low-priced projectors aimed at the mobile user that are actually worth staring at. 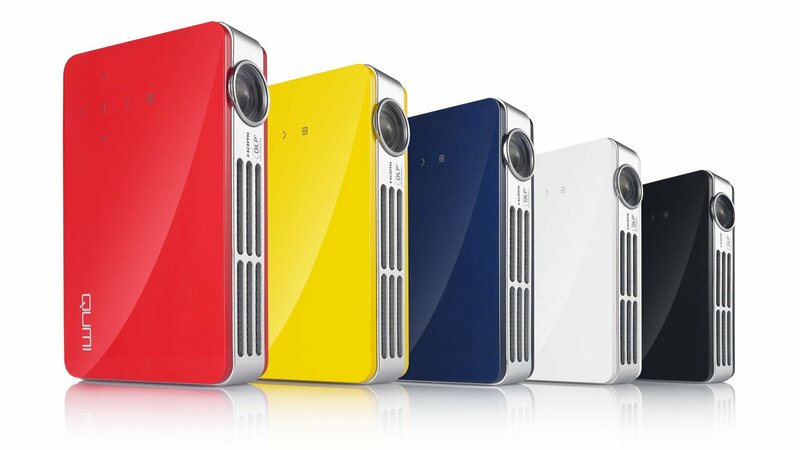 At the top of that list is Vivitek’s glossy and colorful Qumi line of projectors. 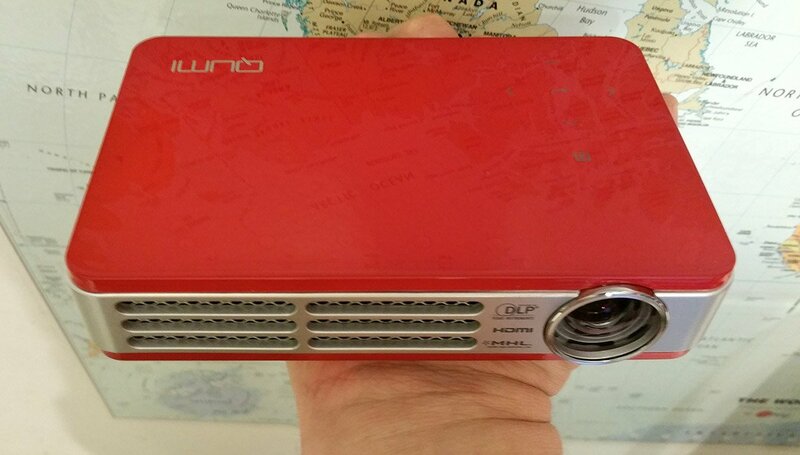 We took a look at the middle-ground projector, the under $600 Qumi Q5. This unit boasts 720p resolution for most sources, but proved surprisingly pliable for everything we threw at it—including using it as a second screen for a PC, where it offered an array of resolution options that work great for gaming—up to 1600×1200. More importantly, the HDMI input assures that almost any device will plug right in, whether it’s an Xbox One or MHL-equipped smart phone. The first thing we did with the Qumi was hook up the Xbox 360 and project it onto the nearest wall for a multiplayer bout of Terraria. The picture was sharp and bright in the darkened room, and also great for sudden shadow puppet battles. The biggest difference between really expensive projectors and the more affordable models is mostly brightness. The Qumi rates at 500 Lumens, which isn’t terrible, but does require a dark environment to get the most out of it. The Qumi sports one feature that puts it well ahead of most others, however, and that’s its DLP-based LED technology. Unlike typical projectors that rely on expensive, replaceable bulbs, the little Qumi’s lights will never need to be replaced. The Qumi’s use of DLP and enhanced colors (through the use of something called BrilliantColor technology) works impressively well. The projector did a great job with games, movies, and even documents. It can support a screen size up to 90 inches, as well. That said, for most users, the overall user interface is something of a cluttered mess. The main menu is all about modes for different types of viewing—pictures, documents, movies, web browser, etc.—but it’s really not related to the HDMI input. Instead, the main menu seems constantly geared for sucking data from a USB stick. Switch input modes to HDMI and none of those options even come up as relevant. You actually can plug a wireless dongle into the Qumi to access data across your network, browse the web, and other things, but it’s main strength is simply projecting things (as it should be), so these options feel rather extraneous. Another issue was the lack of an IR receiver on the front of the projector. The remote is vital (although not strictly mandatory), since it’s far easier to change input sources with it. Unfortunately, it’s only effective from behind the projector, which could make placement problematic. The inclusion of MHL input is a nice touch as well. The Qumi is clearly aimed at mobile users and most new Android phones support this Micro USB-to-HDMI connection. Apple users can just buy a Lightning-to-HDMI cable as well. For users who carry around their media collection or simply use their mobiles to stream, this makes the Qumi a party machine, since it easily mirrors the phone’s screen flawlessly. The main drawback to the Qumi as the center of attention is the audio. The unit does have a built-in speaker, but you won’t want to use it except out of desperation. The stereo-out port at least allows for external speakers, so there’s a fairly easy solution if you have a spare set of cans or portable speakers around. Either way, while we probably wouldn’t use the Qumi Q5 as our main display, as a fairly low-cost portable solution, it’s surprisingly apt. The picture quality is solid, it can take virtually anything you want to plug into it, and, within the confines of a dark environment and a crisp white wall, sheet, or projector screen, the Qumi creates an excellent impromptu movie or gaming theater. The first thing we did with the Qumi was hook up the Xbox 360 and project it onto the nearest wall for a multiplayer bout of Terraria.